I'm regularly astounded by nature! Take this blue iris, for instance. It was planted three years ago, in a sheltered part of the garden. Each year, on or around the 1st of June, the flower pops open and gives a beautiful display for about a fortnight, before dying back for another season. I have images of flowers from this particular plant taken on 31st May 2015, 1st June 2014 and the 28th May 2013. I find it amazing that it can be so precise about when to flower - never varying by more than a week from the 1st June. If only everything were as reliable as this beautiful bloom! 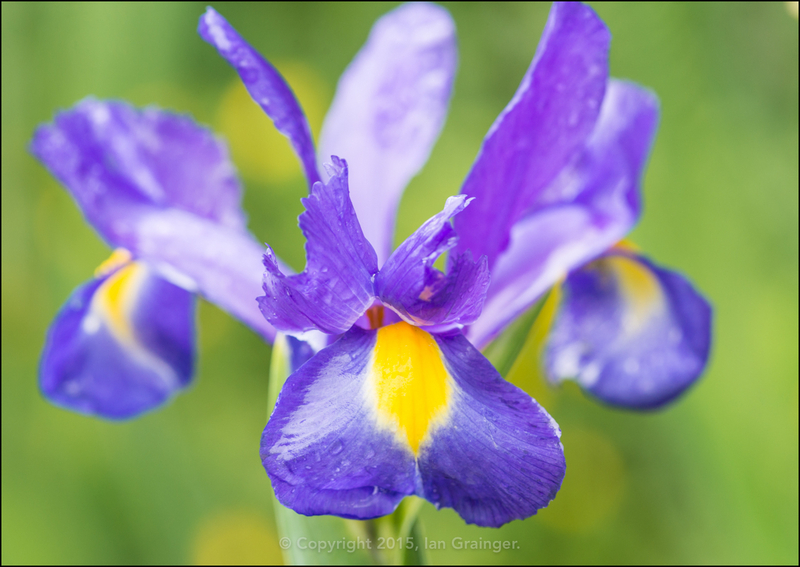 Therefore, for its incredible consistency, this Dutch iris bloom has to be my Image of the Week!